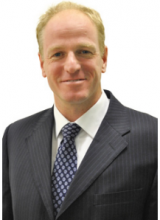 Robert Warr is a consultant plastic surgeon working in Bristol and Gloucestershire. He qualified as a doctor in 1989 and has practiced plastic and reconstructive surgery since becoming a Fellow of The Royal College of Surgeons of England in 1994. He is a member of both the British Association of Aesthetic Plastic Surgeons and the British Association of Plastic and Reconstructive Surgeons. Robert’s specialised cosmetic interests are facial rejuvenation surgery (facelift), rhinoplasty surgery, cosmetic surgery of the breast and body recontouring, including abdominoplasty and liposuction. He also specialises in cosmetic surgery for those people who have lost weight. 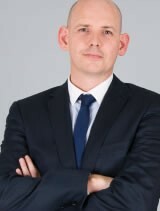 Robert learnt and refined many of the techniques that he now employs during years of working in London and Paris with leading British and French Cosmetic Surgeons. He uses his extensive experience in these areas to tailor the cosmetic procedure to individual patient needs. Robert prides himself on an exceptional working relationship with his patients. As a consequence he will not outsource work to assistants, preferring to perform all procedures including his cosmetic treatments and post operative reviews personally. Although Robert’s practice is now primarily dedicated to aesthetic procedures, his background in micro-surgery and reconstructive surgery gives him a valuable understanding of anatomy, spatial relationships and healing – all of which are critical in achieving outstanding results. A former BT employee, with a background of sales and advertising, Richard has now brought his skills to aesthetics with a firm understanding of the industry. If you have any customer services issues Richard is here to help, he makes a mean cup of tea and has a great coffee machine if you want to pop in for a chat!